As the government gets ready to roll out its ambitious cash transfer of subsidies scheme on January 1, Veenu Sandhu, Santosh Tiwari & Indulekha Aravind get on the ground to investigate how the experiments are working out. M B Chinnappa, chief manager of State Bank of Mysore, has been rushing from one meeting to another. It's his job to ensure that by December 15, at least one member of each of the 535,000 households in Mysore district has a bank account. The account will be linked to his unique identity number, Aadhaar, and subsidies for different welfare schemes will be transferred directly to the account from January 1. For Chinnappa, the challenge is to make sure that over 200,000 accounts are opened in a little over a week in the 360 bank branches in the district. "Efforts have been launched on a war footing and I'm sure we will meet the target," says Chinnappa, before rushing off to his next appointment at the Akashvani station where he is scheduled to give an interview on the subject which will be broadcast all over Karnataka. Image: Rajesh Kumar, a former science teacher and currently the banking correspondent of Ramgarh's Dohakatu village, shows off his Micro ATM, which is used to make Aadhaar-enabled MNREGA payments. Men like Chinnappa have been galvanised into action for what is being seen as the biggest governance reform of recent times: transfer of subsidies directly to the poor and needy. The spin doctors of the United Progressive Alliance, or UPA, have begun to call it a game changer — something that will help it overcome the negativity generated by recent scams before the 2014 general elections. The political overtures of the tagline leave nothing to the imagination: Aapka paisa aapke haath (Your money in your h#8743 the Congress's election symbol is the hand). 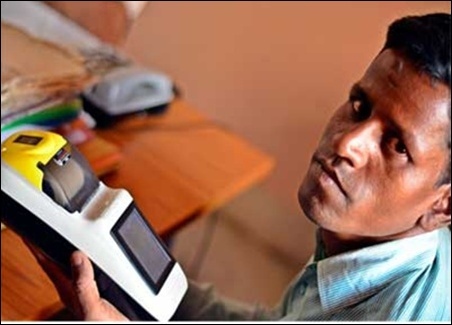 Image: Charka Pahan, a farm worker from Ratu's Tarup village, is unable to receive MNREGA payments through the Aadhaar-enabled Micro ATM as his fingerprints cannot be authenticated by the biometric scanner. Ever since Prime Minister Manmohan Singh announced at Dudu in Rajasthan on October 20, in the presence of UPA Chairperson Sonia Gandhi, that the scheme would soon be unveiled, his office has worked overtime to ensure that it is launched in 51 districts on January 1, 2013, and the entire country by April 1, 2014. The real force behind the initiative is none other than Rahul Gandhi. The starting point was the observation made by his father, the late Rajiv Gandhi, that only 15 paisa out of every rupee given in subsidy reaches the poor. From the government, it is being piloted by Rural Development Minister Jairam Ramesh. He is supported by Finance Minister P Chidambaram who had, when he was home minister, raised serious doubts about the Aadhaar drive. Singh's principal secretary, Pulok Chaterji, a bureaucrat known to be close to the Gandhis, is coordinating between the various agencies. 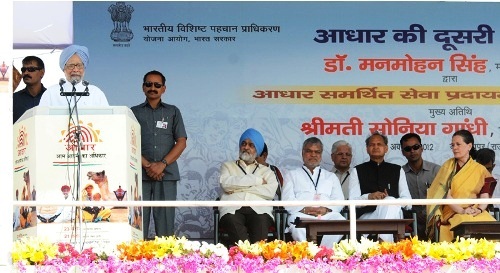 Image: Manmohan Singh addressing at the launch of Aadhaar Enabled Service Delivery, in Dudu, Jaipur, Rajasthan on October 20. Nandan Nilekani, the Infosys promoter and honcho who left the corporate world to head the Unique Identification Authority of India, or UIDAI, is overseeing the Aadhaar rollout. That's actually the real challenge. The Aadhaar numbers currently stand at 220 million, about 18 per cent of the country's population. And about 40 per cent of these enrollments have come from just two states: Andhra Pradesh and Maharashtra. 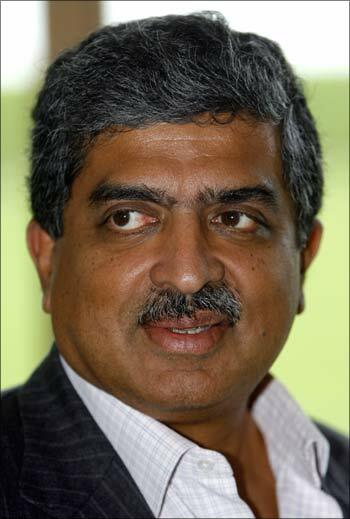 Nilekani's job is to enroll another 400 million by April 2014 in 16 states (the rest of the country will be covered by the home ministry in its National Population Register), or about 25 million a month. Recent numbers aren't encouraging. At the most, UIDAI has done 24.7 million enrollments in a month (January this year). In the last four months, enrollments have ranged from 5.31 million to 11.6 million a month. In at least half of the 51 districts that will go live with cash transfers from January 1, the target of 80 per cent Aadhaar penetration is yet to be achieved. 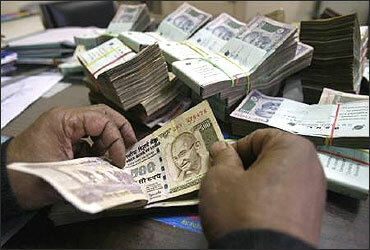 To begin with, the government plans to put 29 social schemes on cash transfer mode. These include payments of wages and pensions. 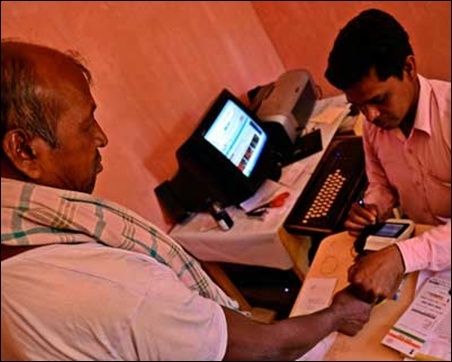 The first pilot was run in four districts of Jharkhand a year ago; wages under Mahatma Gandhi National Rural Employment Guarantee Scheme were put into the bank accounts of more than 3,500 beneficiaries using their Aadhaar numbers. In Aurangabad, Maharashtra, pensions under five social-security schemes are now paid on the basis of Aadhaar. Another pilot for pensions is running in Tripura. That's the easy bit. The tough part will be fuel, food and fertiliser subsidies. 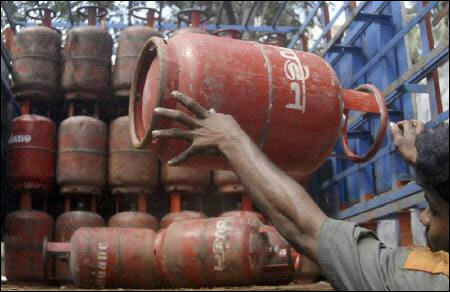 The first of these will be fuel subsidy: kerosene and liquefied petroleum gas, or LPG. Kotkasim, a block of 24 villages in Alwar district of Rajasthan, some 180 km south of Delhi, is where the pilot on kerosene is being carried out. Since last December, ration shops here no longer sell kerosene at the subsidised price of Rs 15 a litre; it's sold at Rs 50 a litre (the price was recently raised from Rs 45 a litre). The difference is put into the bank accounts of the people by the government. There are 25,000 ration-cards in Kotkasim. 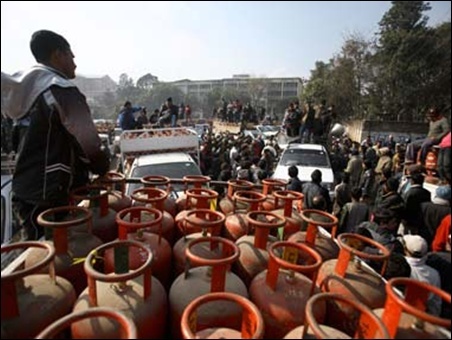 Those with two LPG cylinders were told that they are not entitled to subsidised kerosene. Finally, 20,000 eligible beneficiaries were identified. Those with a gas connection could buy two litres of kerosene, and those without could buy three litres. As many as 14,000 new bank accounts were opened. The subsidy for the next three months, which ranged from Rs 175 to Rs 263, was deposited in each account. Subsequent subsidy would be deposited into the accounts of only those ration-card holders who buy the kerosene from the ration shops. Kerosene, admit both the shopkeepers and ration-card holders, was being sold in bulk to anybody who came armed with ration cards. At Rs 15 a litre, it was much cheaper than diesel (around Rs 42 a litre) and was used to run generators, water pumps and, as one dealer claims, even tractors after mixing it with diesel. Not every family in this rather well-to-do area needed three litres of kerosene a month and would willingly lend their ration cards to proxy buyers, for a cut of course. The difference between the market price and the subsidised one was a huge incentive for shopkeepers to divert supplies. Most succumbed to the temptation. The year-old pilot project has, however, put an end to this. "Kerosene sale in the area, which was about 84,000 litres a month a year ago, has plunged by nearly 70 per cent," says Alwar District Collector Ashutosh A T Pednekar with evident satisfaction. This, he claims, has happened because leakages have stopped and the black market has disappeared. Shopkeepers and buyers, on their part, say many poor people can't afford to buy kerosene any longer. Maybe they've found some other use for the money, though liquor shops and sweetmeat sellers haven't seen any noteworthy rise in demand. People also blame the administration, saying it doesn't deposit the money on time in their accounts. 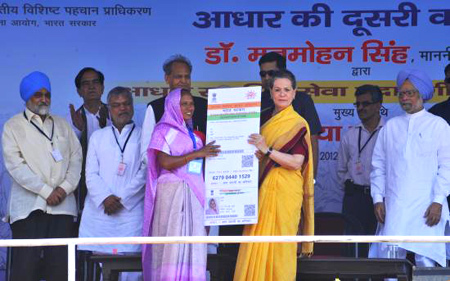 Image: Sonia Gandhi issues the Aadhar card. There are other problems too. Dharamvir Singh Chaudhary has been running a ration shop in Kotkasim for 13 years. 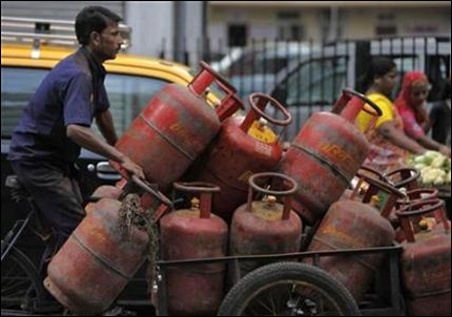 Till last year, he would get 1,800 litre of kerosene a month and every drop of it would get sold. His commission was 90 paisa a litre. Now, he has to buy kerosene at Rs 50 but the commission remains the same, 90 paisa. This has seriously cut his return on investment. "Initially, the district supply officer gave each dealer a cheque of Rs 3,000 to compensate for this sudden burden, but we've got nothing since then. On top of that, I'm straddled with this," he says pointing to the 220-litre drum of kerosene lying in the courtyard in front of his shop. "The government is forcing us to buy it and stock it." Last month, after much resistance, Chaudhary bought two drums (440 litre) for Rs 22,000 from the supply van. "The inspector said if I don't stock it, my licence as dealer would be cancelled," he says, calling it blackmail. He then decided to pass on this "burden" to the people who came to buy ration from his shop. "We (the shopkeepers) told them that if they wanted to buy wheat from our shops, they would have to first buy kerosene," he admits, adding that he managed to "get rid of" one drum between 90 ration-card holders. Nirmala Devi, another shopkeeper, wants her commission to be raised from 90 paisa a litre to Rs 5-6. Beneficiaries make numerous visits to the designated banks (State Bank of India, Punjab National Bank and Rajasthan Gramin Bank) to find out if the subsidy has come into their accounts. But there are others, daily-wage earners, who cannot afford to make even one trip. The villages in Kotkasim are spread out; some are 17 km away from the bank. 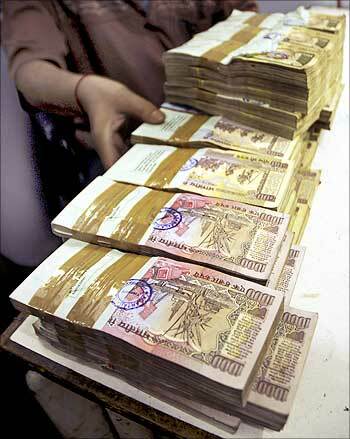 One trip to the bank would mean a day's work gone, a day's wages (Rs 150-300) lost. Sensing a business opportunity, a team from Vodafone has been visiting Kotkasim to study the feasibility for mobile-banking solutions. Teams from Kerala and Chhattisgarh too have descended on Kotkasim to study its cash transfer model. The verdict: the administration is satisfied, shopkeepers are hassled and consumers confused. 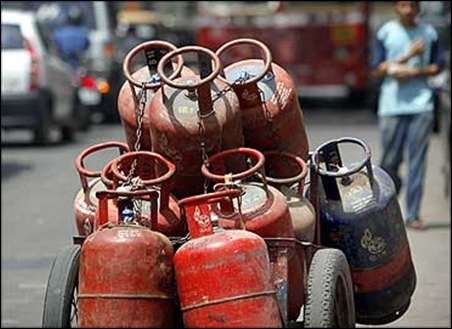 Several hundred miles to the south, in Mysore, another pilot was launched in January this year for the targeted delivery of LPG cylinders using Aadhaar: gas connections will be linked to the Aadhaar number. In the next phase, consumers will be given the subsidy directly in their banks. The district was chosen for its high Aadhaar enrollment rate — till last month, 94.8 per cent of the total population of 2.99 million had enrolled. Three gas agencies have been chosen for the experiment, one each of state-owned IndianOil, Bharat Petroleum and Hindustan Petroleum. At his swank IndianOil agency in Vani Vilas Market, Vinod Maroli says he has delivered close to 18,000 cylinders so far in this manner. (The agency has over 25,000 customers.) The new delivery mechanism has helped check diversion to the black market, says Maroli. Due to the streamlining of the process, the number of days a customer has to wait for a new cylinder has gone down from seven to two. Tellingly, the number of cylinders the agency delivers has also reduced, though Maroli cannot say by how much. "But the fact that there has been a 40 per cent dip in product movement across the country should give you an idea of the scale," he says. An IndianOil executive, requesting anonymity, says the results have been encouraging. "We have established that the first phase [the delivery of cylinders via Aadhaar biometric identification] works, so now we have to test the next stage," he says. All three agencies have delivered around 40,000 cylinders that were Aadhaar-verified since the scheme was launched in January, he says, and subsidy transfers have already taken place in small groups. At the moment, all agencies in the district have been asked to focus on ensuring their customers have Aadhaar-linked bank accounts, he adds. From January, the project will go live. The first phase seems to have gone off without glitches. The next phase is the acid test. However confident State Bank of Mysore's Chinnappa may be, it will be no mean task to ensure that over 200,000 people open bank accounts in the space of a week. Many feel that the deadline could well be postponed. 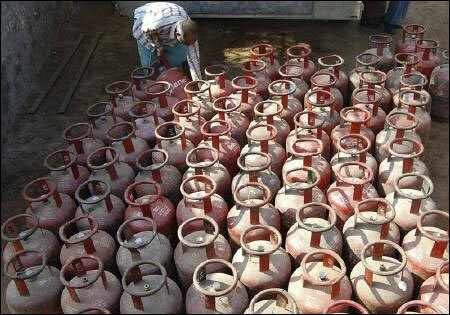 At the food and civil supplies department, the overseeing authority for LPG cylinders, officials are unclear about the next phase of the Aadhaar pilot, saying they are yet to receive any kind of official notification of the January 1 rollout. "Whatever we know is from what we read in the newspapers," says one of them. Sonia to step down for Rahul in the months ahead?